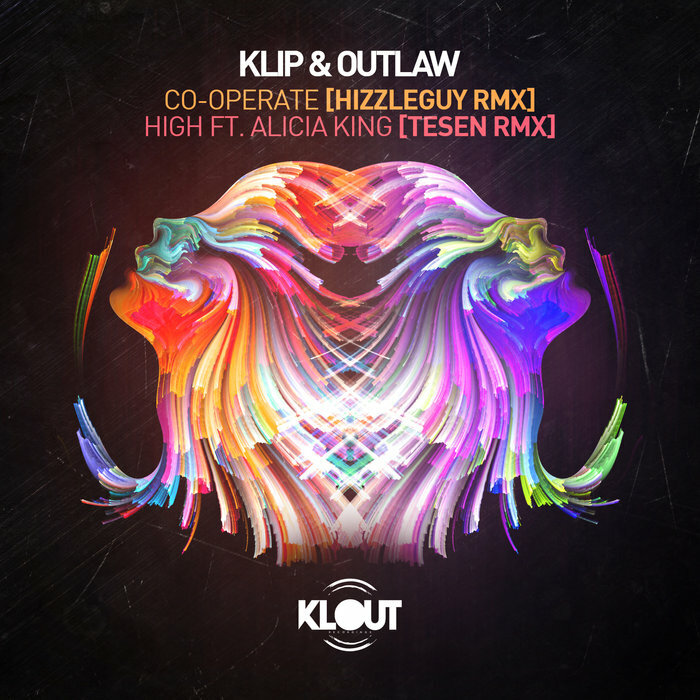 Klip & Outlaw are being given the remix treatment over on Klout Recordings by Hizzleguy and Tesen, a fiery double tracker that nicely represents several vibes. Hizzleguy's rendition of 'Co-Operate' is a classic, jaggedly sharp piece of jump-up D&B that's made for no purpose than to decimate dancefloors all across the country with nothing but force. Tesen's version of 'High' featuring Alicia King is similar in that regard with a punching array of bass shards that'll take you straight in the chest, no messing about and no pretence of seduction. This single is for those who want a couple new weapons for their USBs, alternatively if you want to scare your nan. Either way, they're perfect.